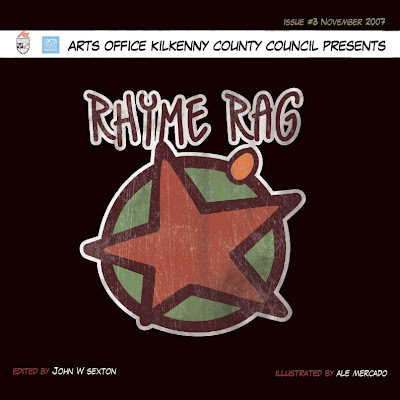 The design for Rhyme Rag #3 (to be launched on November 28th) has been finished. 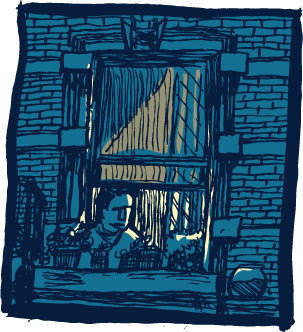 This last week has been particularly intense: finishing all illustrations, getting the edits to the text and producing the final layout of the publication. This is the final panel I've done. It is for the poem Distance by John Morrissey. 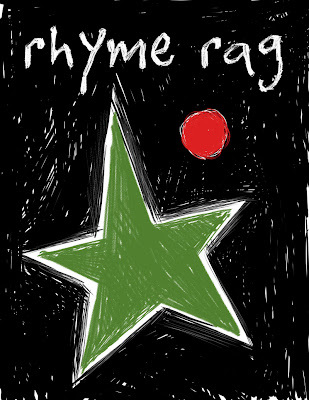 Funny enough, this was one of the first poems I illustrated, but was never 100% happy with it. On Friday I decided to change it, produced the pencils on that same evening, and finished it on Saturday morning. There was a small issue with the cover also. After I produced it, I had second thoughts. It seemed clear to me that the cover didn't reflect what was inside the publication. I thought the concept for it was still strong enough, so I produced a second version. When inserted in the layout it dind't work at all. So we've kept the first one. And this one is the final one.